The recent Grey’s Anatomy episode sparked great debates as people couldn’t believe what happened (I’m not going to spoil it for those who haven’t watched). But in my house it sparked a different debate and it’s one Tammy is all too familiar with. 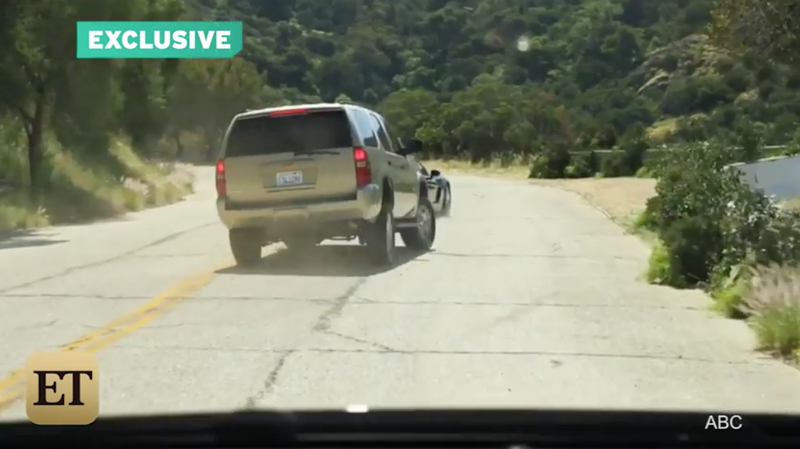 I didn’t care about which character died (sorry, just a little spoiler), instead I was more concern with the scene that showed a pretty new Corvette speeding and passing cars down a curvy road, then flipping as it passed in front of an SUV. By no means am I a car-flipping expert, but from what I saw I didn’t believe the Corvette would have flipped and I let Tammy know. Me: Wait a minute. There’s no way that Corvette would have just flipped like that. It would have fishtailed a lot more instead. A rock on the ground wouldn’t have caused it to flip. At this point in our relationship Tammy is used to outbursts like that from me while she tries to watch some of her TV shows, so she did what she usually does… ignore me. It wasn’t until I grabbed the remote, rewound it, and replayed the scene in slow motion that she let me know how she felt… by turning up the volume. She also took the remote back as I had left it sitting near her while I stood and pointed at the TV. I took to breaking down the scene a few days later during a Facebook debate about my concerns of not believing the Corvette would have flipped. Turns out I wasn’t the only one to find it unbelievable. My Grey’s Anatomy outburst was nothing new to Tammy who often finds herself on the receiving end of my inability to engage in the “suspension of disbelief,” or not care about the lack of attention to detail during TV shows. His tie was tied in the last scene, then it was untied, and now it’s tied again. Did you see that? Why can’t they speak some United States? Why can’t they hire Americans for these parts instead of British actors? Are Americans taking over British TV like they are here? I bet they aren’t. Newspapers would never run a headline like that. They’d never run a somone’s mug shot that big either. Seriously, that’s like an 8×10 image on the front page. No one does that. Aren’t they hot (when guys are always wearing suits and ties, like on Downton Abbey)? I’d be hot. I can’t wear collars like that on my neck. I’d burn up. Why do they all hang out together if they hate each other so much (any of the Real Housebitches shows)? I mean, why even go out with everyone? They have to know it’s going to end in a fight, right? It always does. They’d never let her be alone with that guy after she did that (that crazy lady on season 2 of Homeland)? That’s so against the rules and no one would ever allow that. I’ll pepper her with those questions even if I’m not watching the show with her. Sometimes I just walk into the room and see stuff that annoys me. Gallery | This entry was posted in Daily Life and tagged daily life, humor, life, relationships, Tammy, television, TV. Bookmark the permalink. HAHAHAHA… I love it. Definitely let me know what they say. I think the Vette COULD have flipped, but from the look of the first image, the Vette seems too far ahead to have been clipped. 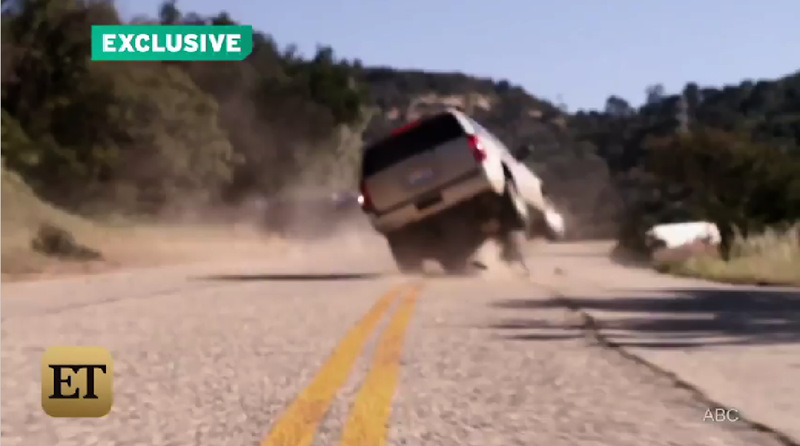 But even if it was clipped by the SUV, I think it would have spun out a couple of times before flipping. Also, in the second image, the Vette has flipped at least once before the SUV even starts it flip. Plus it looks like it’s a good 10 yards in front of the SUV.